Thousands of British Servicemen were sent to the Far East in 1941 and 1942 as part of the Allied Forces defence of these territories against the Japanese. With minimal military back-up there was to be no 'Dunkirk' for the unfortunate men left defending Java, the 'last bastion' after Singapore had fallen. 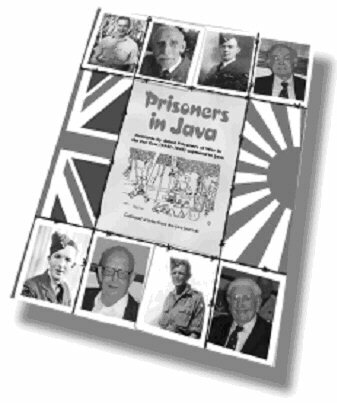 Following the Dutch capitulation of Java on the 8th March 1942 they all became prisoners of the Japanese, many of whom had only just arrived on the island. As POWs they were ultimately deployed as Japanese slave labour on Java itself, in other more remote parts of the Dutch East Indies, on the Thai/Burma and Sumatra Railways and also the Japanese homelands. The abhorrent conditions in the camps in which the prisoners were held, along with the starvation, deprivation and brutality by their captors, are indescribable to anyone who did not experience this hell. The inhumane method of transportation of drafts between these camps gave little respite, these becoming aptly known as the 'Hellships'. Thousands of men did not return, but many of those that did continued the strong comradeship borne out of adversity by forming clubs. One such club is The Java Club 1942, whose members over the years have filled their Java Journal with their recollections and personal accounts. This book is a compilation of these articles which illustrate the horror and despair, as well as some of the more humorous moments of their three and a half years in captivity. Over 336 pages and 140 maps & illustrations! "To keep going the spirit that kept us going"